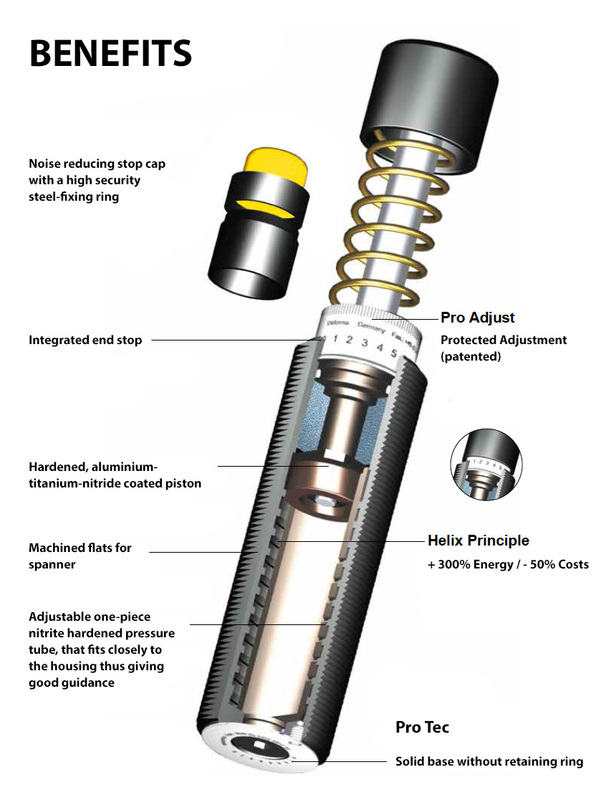 Shock absorbers are closed hydraulic components which operate on the basis of oil displacement. When the piston rod is pushed into the cylinder, the piston displaces the oil through differing sized holes which are progressively closed off. 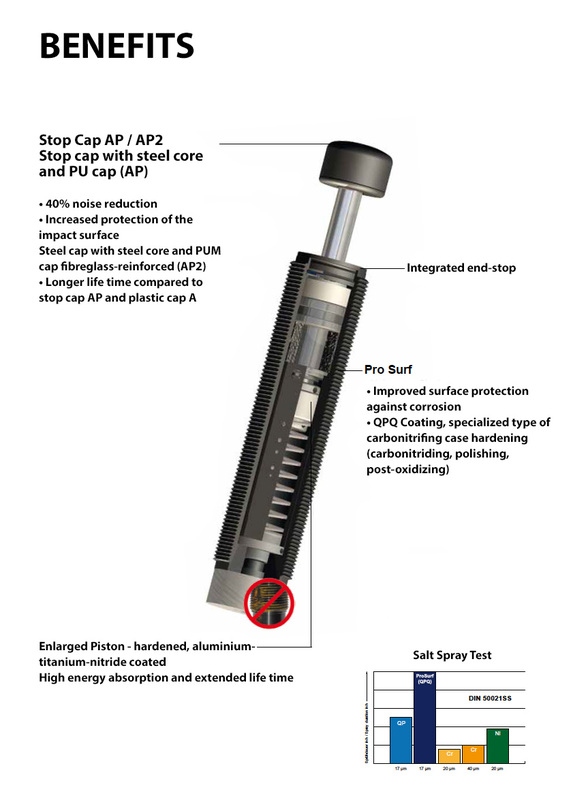 As a result the speed of the piston rod proportionally decreases to the stroke covered. The displaced oil is compensated by the accumulator.